Pets are a very important part of many Canadians lives. In 2014, it was estimated that 57% of Canadians owned pets which equates to approximately 7.5 million households. In many cases, our pets become part of our families to the point where terms like “pet parent” and “fur baby” are used to define this unique relationship. But what impact do pets have when it comes to real estate? Pets affect our choices in real estate. When we buy a home, we consider the needs of our family, which often enough includes our pets. 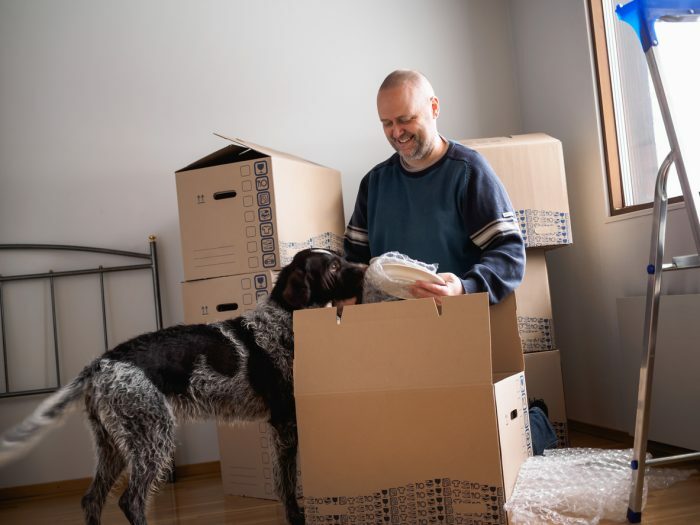 In a recent survey, 81% of respondents said that animal-related considerations play a role in deciding their next living situation, 52% undertook a renovation to accommodate their pet, and 89% would not give up their animal because of housing restrictions or limitations. For example, dog owners may choose a house because it has a larger fenced property for the dog to run, or cat owners may choose a house with a basement to house the unsightly litter box. And like homebuyers who are planning for a family, some are choosing properties in anticipation of one day having a pet. So, is it safe to say that some “pet friendly” features will make your home more appealing if you’re trying to sell? Perhaps, but the pets themselves may depreciate the value of your home. Pets can affect a home’s “cleanliness and smell” and this can deter potential buyers. And it is also important to remember, that a significant number of people are allergic to pets and may not even consider viewing a home that has housed animals. “But it’s not just odour or pet hair that’s a problem. Yellow or dying grass in the front or backyard, half-chewed toys littered in yards or across rooms, as well as open or smelly litter boxes can prompt concerns, even in pet-loving buyers.” Keep in mind that prospective buyers may love their own pets but that doesn’t mean that they love yours, so you want to rid your home of all signs of your beloved animals. You will want to thoroughly clean your home before putting it on the market, with extra attention paid to your floors. It may also be wise to call in a professional to help you with this task. As pet owners, we often don’t notice the odours from our own animals within our home; we have gotten used to them so it is wise to have someone else come in and check for noticeable odours. If your animal has urinated in the house, replace the affected carpeting or flooring. Sometimes the smell can be difficult to remove otherwise. Stains and smells will devalue your home. Remove pets from the home while it is on the market, or at least for showings and open houses. Also, remove all litter boxes and animal toys before anyone comes into the home. Pets are part of our lives; we make decisions around them and they affect the environment around us. At the end of the day, if deciding to get a furry friend, do what’s right for you. The post Pets and Real Estate appeared first on Team Realty.